LONDON, Sept. 6 (Xinhua) -- A total of 66 institutions from China were included in a world university ranking published here Tuesday by the Times Higher Education. According to the 14th annual edition of its World University Rankings, the list of the top 1,000 universities from 77 countries and regions, there are two Chinese mainland institutions in the top 30 for the first time and China boasts more universities in the rankings than ever before. Key institutions that moved up the list from last year's rankings include Peking University, which went from 29th to 27th place, reaching the same rank as the University of Edinburgh and New York University. Tsinghua University increased from 35th place to 30th, overtaking the University of Melbourne, Georgia Institute of Technology, and LMU Munich. Fudan University climbed 39 places to 116th position. China's Hong Kong has six universities in this year's ranking, including three in the top 100 and two in the top 50. The University of Hong Kong is Hong Kong's number one institution, ranking number 40. Chinese mainland is now the sixth most-represented in the top 200. It has seven universities in this elite group, up from four last year, becoming Asia's most successful territory at the top of the ranking. Phil Baty, editorial director of the rankings from Times Higher Education, said: "Our rankings show that the Asian giant's higher education improvement is real and growing. 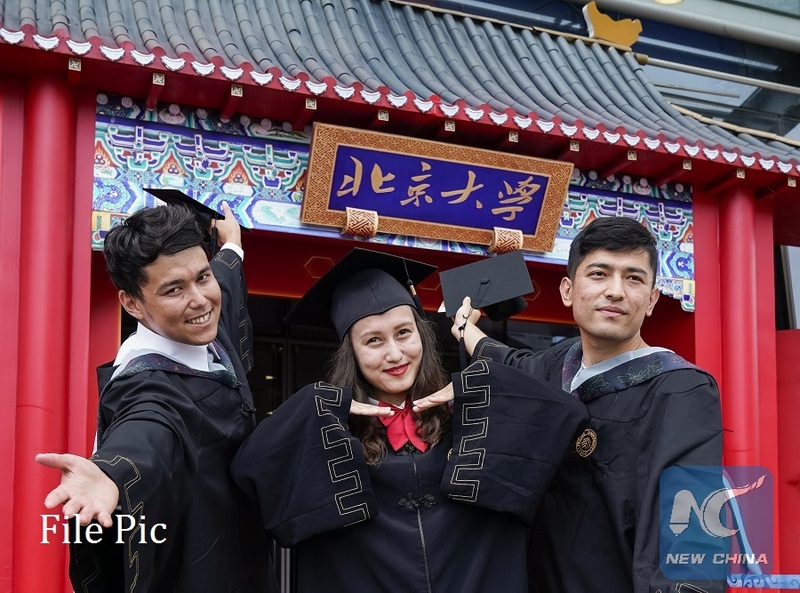 With two top-30 representatives for the first time in the 13-year history of the rankings, China's leading universities are truly now part of the global elite and overtaking prestigious universities in the US, UK, and Europe." An expert in global university rankings for 20 years, Baty said that the rise of Chinese higher education had been driven by a large investment in science and technology subjects. "Chinese universities are doing outstanding work in science, technology, mathematics, life sciences," Baty said, adding that the next phase for China would be to strengthen its arts and humanities and social sciences programs. "I think arts and humanity subjects are very important to create the balance and to provide the creativity needed to push research to the next level. So that's the challenge. Another challenge is perhaps to be even more international. Chinese universities have been wonderful in bringing back Chinese scholars from America, from Europe to come back to China to build wonderful universities." Globally, the University of Oxford retained first place in the rankings. The University of Cambridge climbed two places to second, overtaking the California Institute of Technology and Stanford University, both in third place. In terms of institution numbers, the United States continues to dominate the rankings. When announcing the ranking result Tuesday at the World Academic Summit, Baty said they were a bit surprised to see that two British universities had seized first and second place. "Leading universities in the UK, in London, Oxford and Cambridge have held on very well. But I think many more of the universities in England are more challenged. They are not generously funded as some of the great Chinese universities now," he said. He expressed worries that Brexit may influence the rankings. "We have problems with Brexit and our international relationships. So Britain must avoid becoming isolated and must continue to be outward-looking and try and collaborate with all universities across the world." In Asia, the National University of Singapore tops the ranking in this region, in 22nd place globally. Japan's flagship, the University of Tokyo, has fallen to its lowest position in the 13-year history of the table to 46th place. And three of South Korea's leading universities have declined. Baty believes that the trend demonstrates the global higher education landscape is changing. "Other East Asian nations are feeling the competition from the rise of China. East Asian countries outside of China will need to work hard to stay stable as its neighbour soars to join the global elite." One of the most prestigious world university ranking systems, the Times Higher Education has published the World University Rankings every year since 2004. It has 13 separate performance indicators, covering the full range of a university's core activities including teaching, research, knowledge transfer, and international outlook. The 1,000 universities ranked have all been evaluated by their academic peers through a survey which draws on more than 20,000 survey responses from senior scholars from more than 140 countries and regions.